Did you get your St George’s day biscuit? The children celebrated the day decorating their biscuits as well as making their own flags and of course, leaning all about St George and the Dragon. 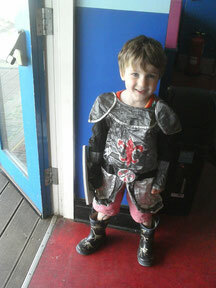 We even had our own resident St George - just check out his armour! More pictures can be found in our Gallery.